The application can be used throughout Italy and in all Countries of the World, and is particularly useful for planning your holiday in Umbria. 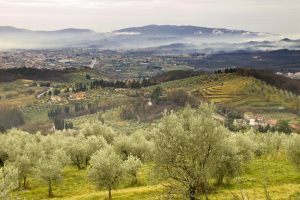 The UmbriaOnLine iPhone Application keeps you up to date on all the News and everything that’s going on in Umbria, Italy. The Nahar adventure park, enclosed within one of Italy 's largest alpaca farming areas, offers tourists the chance to spend a day experimenting new sports and generally having a good deal of fun in an unparalleled natural setting! 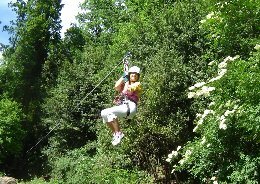 Nahar is the first and only adventure park in Umbria. Its exact location is at Rosciano, near Arrone, within the Nera River Park reserve, just eight kilometres from the Marmore Falls. The adventure park takes its name from the ancient Roman for the river Nera. 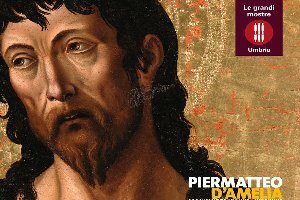 The exhibition devoted to Piermatteo d’Amelia, scheduled to run from December 12th to May 2nd next year, aims to acquaint the general public with a lesser-known artist who nonetheless was a major figure in the late Quattrocento and one of the great masters of the Renaissance in Umbria. A wealth of detailed archive information concerning the work of Piermatteo has survived, indicating that his career played out chiefly in Southern Umbria as well as in Upper Lazio and in Rome itself. Georeferenced Map of Umbria with Hotel, Bed & Breakfasts, Villas, Holiday farms, Country house, ecc. Perugia. A total of 21 oil mills and producers across the region and throwing their doors open to the public from 10am to 6pm. The ever changing job market in Italy and Europe requires qualified professionals in growing numbers. An extraordinary painter, a genius who brought about remarkable innovations in the study of light, transparency and colour. Set to the most important show in the region, this exhibition of Perugino will be opening on February 28th 2004 and will run until July 18th 2004. Discover the programme ! The month of February: The Umbrian Cheese, Pecorino of Norcia and salted Ricotta [soft white salted cheese made from sheep's milk], guided tours of the Sportoletti wine cellars and the Trevi oil mill. Discover our Offer !